At a given pressure, a pure substance changes its phase at the saturation temperature, Tsat. At a given temperature, a pure substance change its phase at the saturation pressure, Psat. 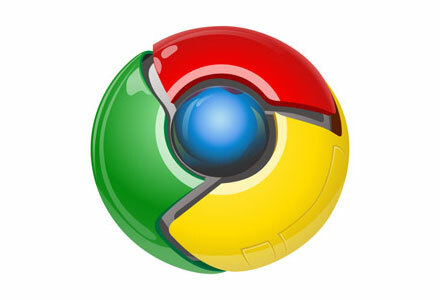 At a given temperature, the enclosed liquid in a container will evaporate. 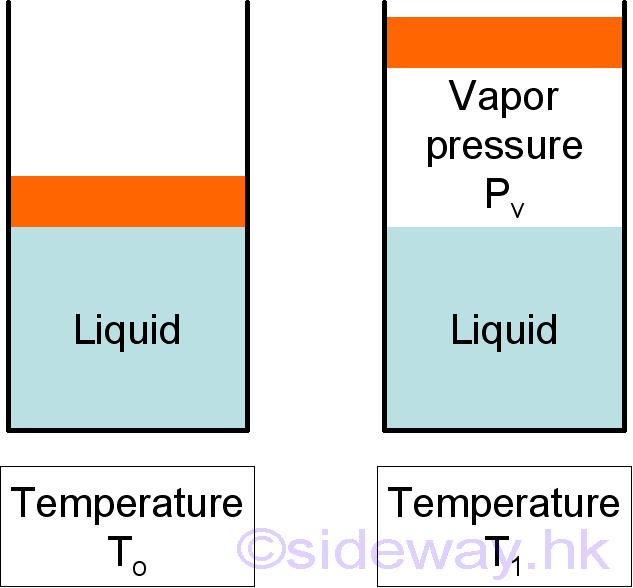 In phase equilibrium, the pressure exerted by its vapor is named vapor pressure, Pv. 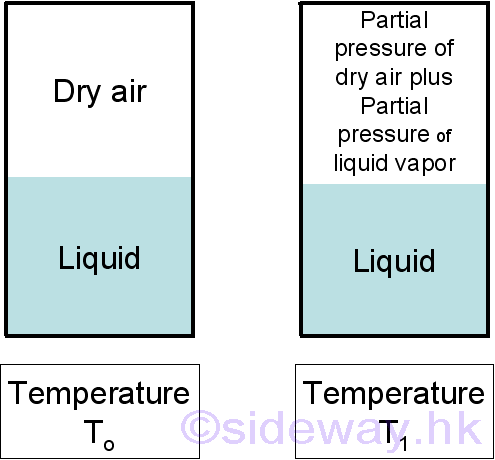 For a pure vapor, it is identical to the saturation pressure of the liquid at the given temperature. But when the vapor of the liquid is mixed with other gases, for example water vapor and dry air, the pressure caused by the water vaor is a partial pressure only. The atmospheric pressure will be the sum of the partial pressure of dry air and the partial pressure of water vapor. In liquid flow system, the absolute liquid pressure may drop below the vapor pressure at some locations along the flow and cause unplanned locate vaporization, boiling and forms cavities in the liquid as vapor bubbles, named cavitation bubbles. As bubbles move away from the low-pressure regions, they will collapse and generate extremely high-pressure destructive waves. The formation and collapse of cavitation bubbles will cause the drop in performance and the erosion of component parts, for example irregular, narrowed flow passages of valve or pump, impeller blades of hydraulic turbine. And the formation and subsequent collapse of vapor bubbles in a flowing liquid is called cavitation.